When it comes to representing Singapore’s unique and cultural diversity, Violet Oon immediately comes to mind. A veteran in the F&B scene, and a familiar name to many, Violet Oon has, since its inception, been bringing the best of Singapore’s cuisine to the world. 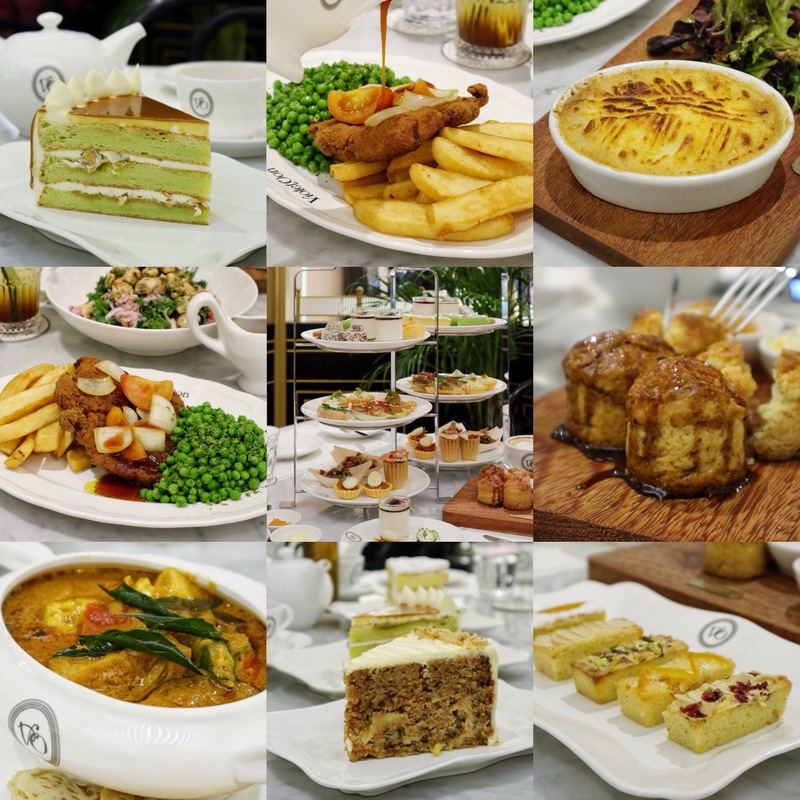 Famed for their extensive selection of authentic and mouth-watering Nyonya, Chinese, Indian, Malay, Eurasian and Singapore’s British Colonial cuisine, the restaurant group have recently opened their newest (also biggest) retail & restaurant space at the heart of Singapore, ION Orchard. Expect to enjoy a myriad of exclusive and innovative dishes such as the all-time favourite Hainanese Pork Chop, Fish Curry with Roti Jala, Dry Laksa (my FAV) and many more! On top of that, diners can also travel back in time and experience Violet Oon’s latest and nostalgic Singapore’s High Tea Set! If you’re planning to bring your overseas friend for a Singaporean meal, or a local gift for them, you should surprise/impress them at Violet Oon Singapore! The retail section offers baked cookies, cakes and our iconic Kaya! Oh yes, to avoid disappointment, it’s best to make a early reservation with them (because they are always fully booked)! After a long tiring day of shopping, you can head over to Violet Oon at ION for a well-deserved break! So many things for you to see and eat! Or if you’re planning to meet your loved ones for a meal, this place is the perfect place to go to! Only exclusive at the outlet in ION, this High Tea Set not only represents the cultural diversity of Singapore, but also brings back fond childhood memories! Comprises of three different tiers, with the bottom and middle tier showcasing savoury treats such as Kuey Pie Tie (damn good lah), Yam Cake (this is the one that triggers my memories when I was a child when my mum would cook this for us), the flavoursome Chilli Crab Tartlet with Quail Egg, Egg Salad Tartlet with Pineapple Patcharee, Coronation Chicken on Crispy Wanton Skin (everyone was going crazy over this), Cream Cheese and Cucumber Openface Sandwich & the mild spicy Otak on Belgium Endive, and of course the last tier with nostalgic sweets such as Financier, Kueh Dah Dah, Kueh Lapis, Kueh Ko Sui and Bubur Cha Cha Panna Cotta. Another highlight of the high tea is also the homemade scones which were soft, moist and fluffy. The ones that were drenched generously with Gula Melaka sauce were so good, I wanted to dapao some home! Definitely bringing all my loved ones for this High Tea Set! Can’t believe it’s only $58++ for 2 because it’s so value-for-money! This salmon with Kale Kerbau is a great salad – refreshing and really hearty portion. The sauce was really addictive and got us hooked in no time! Definitely a wonderful appetiser to start! One of their signature dishes and it’s said to be very popular among the young and the old. A modern interpretation of our iconic Singaporean dish – Hainanese Chicken Rice, Violet Oon uses pork chop instead and it’s well-battered with cream cracker, and fried to perfection. Pork chop was crispy, not too tough and not too oily. Drenched with the homemade tomato reduction for maximum pleasure. Oh yes, the peas were really nice too (if you don’t like peas, this could probably change your mind). Simple yet flavourful Shepherd’s pie for those who wants to go for a safer option. Hidden within the creamy mashed potato lies a generous serving of well-braised minced beef. This is damn filling! The curry was so flavourful you literally just go sip after sip. Dip the roti jala into the curry for maximum pleasure. And yes finally Ladies’ Fingers that I’m willing to eat! This photo doesn’t do my favourite dish at Violet Oon any justice. Noodles were filled with laksa flavour, especially the spices and it was irresistible! I kept going and in no time, finished the entire bowl by myself. Highly recommended and trust me, don’t share with your friends! I’m going back for this again! The new outlet also serves an extensive range of delicious cakes and here’s one of them – Classic Carrot Cake, soft, moist and full of flavours. It was not overly sweet and I love the cream cheese frosting. Dieting can seriously wait! This is a MUST-TRY! Loving the pandan and gula melaka combination plus they are not jelat. Oh yes, the slice at Violet Oon is really big! So remember to share it with your loved ones! Available at the retail section, these sugee cookies are so buttery and addictive! Can’t stop after having one! Previous PostYoogane Singapore: Celebrate Christmas with Theatrical 'Flaming' Chicken & Festive Log Cakes such as Matcha Sesame & Sweet Potato! Next Post(NEW) Tiong Bahru Bakery (Safari): Opens Safari-Themed Campsite at Dempsey with Beetroot, Turmeric Latte & Breakfast Jars infused with Rojak Flowers!